Ran the test for one hour for each setting. The maximum temperature I hit was 55°C under full load and the lowest temperature was 39°C. 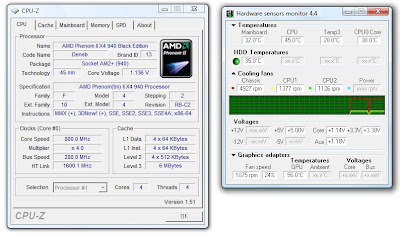 My room temperature stays between 25-35°C so idle CPU temperature is not bad but its not good either. With stock CPU cooler I'll suggest to enable the cool n quiet feature. 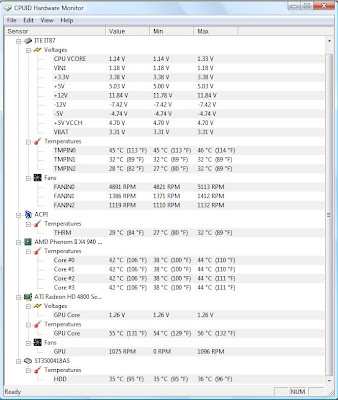 And if you want to overclock, don't exceed more than 3.4GHz, because that's the max you can go with the stock voltage. 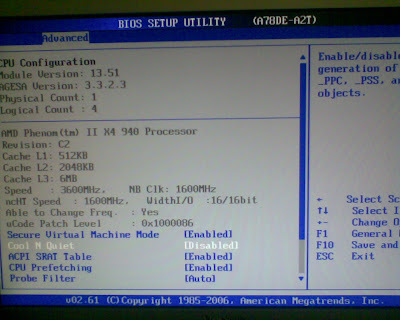 The Figure 2 shows the % of CPU usage in three conditions I mentioned above. 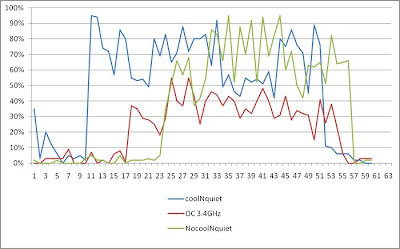 When OCed the CPU usage doesn't go more than 60%, but in case of Cool N Quiet enabled the CPU usage is around 90% most of the time. 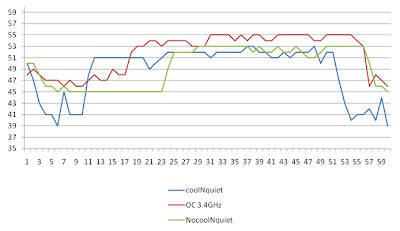 Opening the case (CoolerMaster CM 690) from both the sides decreases the CPU temperature by 5°C and idle temperature hovers around 34°C-40°C (Figure 3). Will put more fans to improve the air flow, also will apply a new thermal paste some time soon. I am expecting an idle temperature around 30°C. Note: Select a multiplier which your system can handle, higher multiplier means higher frequency hence it requires higher voltage which means higher CPU temperature. You need a very good cooling system (Cabinet!) for keeping your CPU temp low at higher frequencies. Step4: Select a suitable voltage according the frequency selected in Step3 by clicking on the Core VID on the same screen. 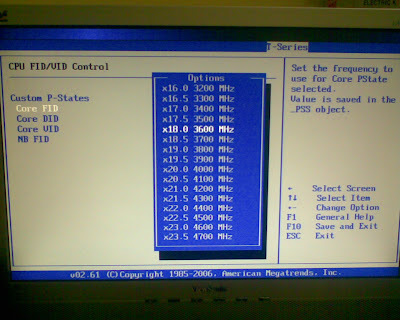 For 3.6Ghz select a voltage 1.4000V or little high but not very high. 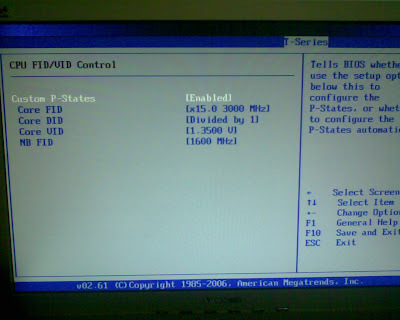 Note: Over Clocking reduces the CPU life because of high voltage and temp. 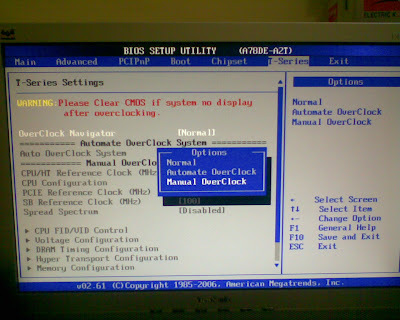 So if you want your CPU to last long (5+ years) don't go for over clocking.